The South African “Zef” hip-hop duo will play The Pageant on Thursday, August 17. The group – comprised of Ninja, Yolandi Visser, and their producer God (formerly known as DJ Hi-Tek) released their debut album $O$ in 2008, and quickly gained international stardom through their unique music videos and sound. In 2010 they released Enter the Ninja, which currently has nearly 60 million views. Hits which followed include Ugly Boy and I FINK U FREEKY – each almost to 100 million views. The group has had countless hits since, amounting to hundreds of millions of views, in addition to touring all over the world. 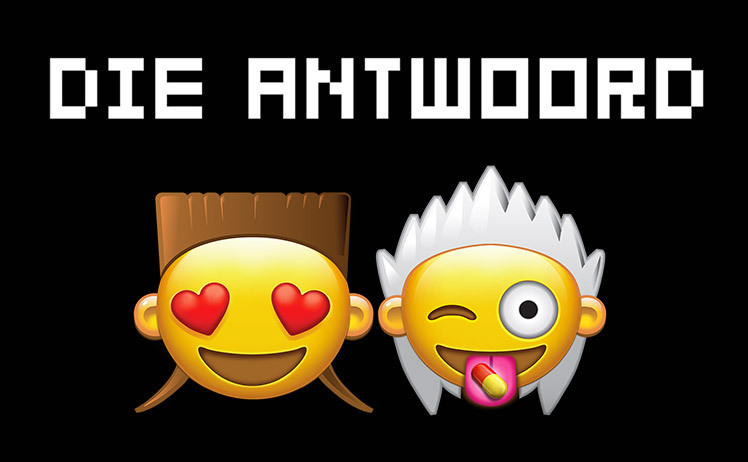 Die Antwoord followed up their debut album with Ten$ion (2012), Donker Mag (2014), and most recently Mount Ninji and da Nice Time Kid (2016). The duo is currently working on their new album, The Book of Zef, which is said to be their final release. For more information about the show, visit thepageant.com or the official site at dieantwoord.com.